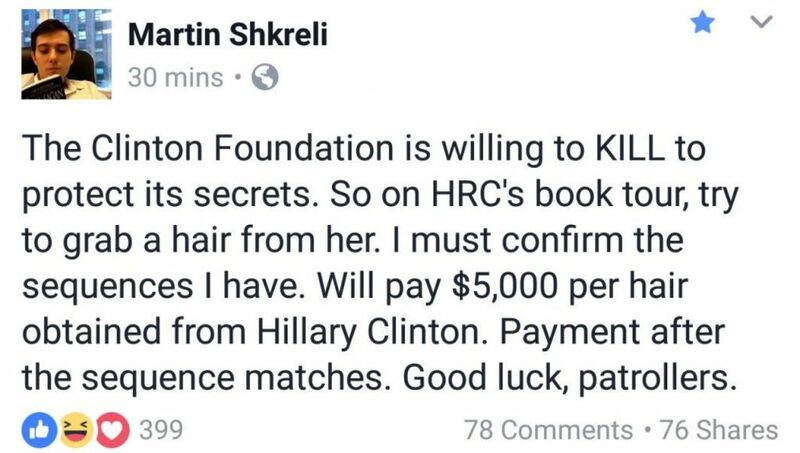 Feds Seek To Revoke Bail For Pharma Douche After He Posts $5000 Bounty For Lock Of Hillary Clinton's Hair - Joe.My.God. 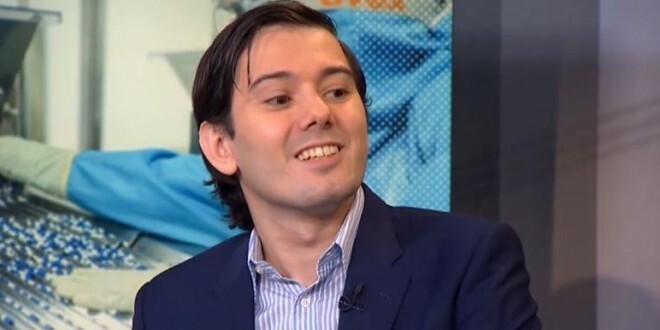 Shkreli, 34, who was convicted of three counts of securities fraud but acquitted of five other criminal counts last month, faces up to 20 years in prison when he’s sentenced at an unspecified date. Prosecutors said the Secret Service had to launch an investigation and “expended significant additional resources” to ensure no one tried to grab Clinton’s hair while she was on a book tour. They also cited crude comments he made online against a journalist and a pundit with whom he has feuded.